Kingston Place is the site of a recently completed historic preservation. The house and barns, including the wedding barn, date back to the early 1800's. 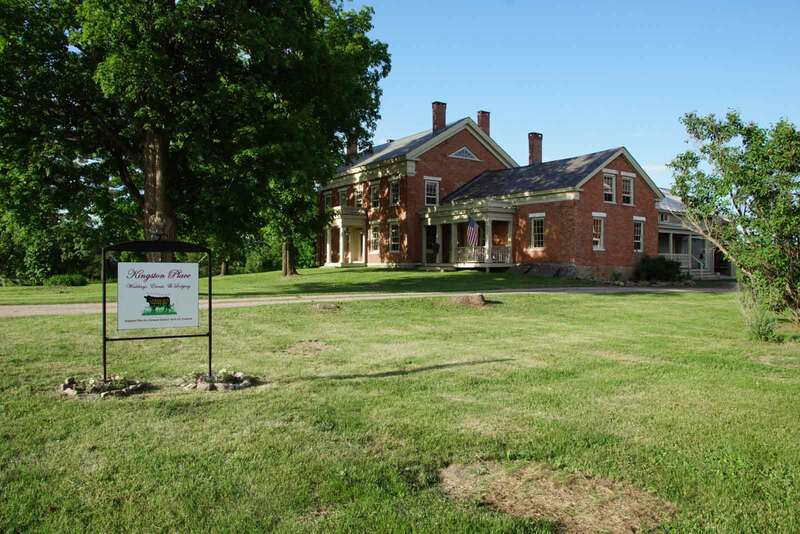 The stunning homestead is available for wedding party rental in addition to the barn. If you want an authentic, as opposed to contrived, venue for your barn wedding, with the potential via the homestead, for the wedding party to have access to relax, prepare, unwind and celebrate in a well laid out environment, then Kingston Place offers a unique venue to make your dream wedding come true. If you look at our pictures and watch our video, you'll see, there’s a reason that rainbow is rising from our wedding barn! Kingston Place dates back to the early 1800’s when the King family moved to Vermont from the Kingston, Rhode Island area. The family had a very successful farming and merchant operation by the 1870’s with receipts totaling around $18,000 per month (that’s about $320k per month in today’s dollars)! In the later part of the twentieth century the house and barns fell into disrepair. Fortunately, we have just completed a historic preservation of the house and barns and are now open to the public. The house is tastefully finished and ready for lodging by guests, wedding parties, and event leaders. The main wedding barn has recently been upgraded with a new floor, complete with 17″ wide pine flooring and a beautiful beech wood dance floor. The barn also received new electrical and fire detection equipment throughout. A note on safety – Kingston Place will be fully permitted and we are working with the Vermont Department of Public Safety and local authorities to make sure we are in compliance (this has not always been the case with barn weddings). We hope to work with you to make your wedding spectacular!!! Please call 802-377-3115 or use our contact form. Abigale Stannard and the crew at Kingston Place.